Compare Aphano Fasteners to Other Hidden Deck Fasteners. Compare Aphano concealed deck fasteners with other hidden fasteners. 1. Metal prongs driven into the sides of the deckboard with a sledge-hammer. 2. Require a groove, or biscuit-joint, in the side of the deckboard. 3. Attached first to the joists and then to the deckboard from below. Ease of installation: Installing a concealed deck fastening system should not require a huge expenditure in labor. You should also be able to be install them from above the deck using simple everyday tools. The only tools required to install Aphano fasteners are a marker and a drill. Water penetration: One of the major drawbacks of using screws is that they allow water to penetrate the decking. Water expands when it freezes. This expansion can cause the decking to split or crack. Fasteners that penetrate the sides of the deckboards can do the same thing. Visibility: The whole point of using concealed fasteners in the first place is that you will not see the fasteners. A hidden fastener should be should be just what its name implies: hidden. Many so called hidden deck fasteners are easily seen from above the deck. Adjustable side gap: Some fastener manufacturers claim a pre-set side gap as a benefit of their product. In fact the side gap should be adjusted individually based on: the temperature of the decking at the time of installation, the brand of decking and personal preference. Performance: A concealed fastener needs to hold the deckboards firmly in place. Fortunately with composites, plastic or PVC decking this is not usually a problem. Composite, plastic and PVC all will lay flat on the joists. Expense: A hidden deck fastening system should be reasonably priced. Some hidden fasteners cost more than $11/sq ft. You should also be able to buy exactly what you need. 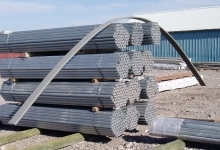 Fasteners that come in buckets or bulk packs are for the convenience, and profit, of the fastener company. With Aphano concealed deck fasteners you can return any unused item for a full refund. Access: Using concealed fasteners should not require you to crawl beneath the deck. Aphano hidden deck fasteners can be installed completely from above the deck. Expansion and contraction: All deck boards will expand and contract. Composite decking will expand and contract with temperature changes more than most. A hidden deck fastening system that is used with composite or plastic decking needs to accept this movement. Aphano hidden fasteners were designed to expand and contract with the decking. Deckboard replacement: Accidents can happen. Even composite, plastic and PVC decking can get damaged. A hidden fastener should not prevent the replacement of an individual deckboard if necessary. Why spend the extra money on decking only to have the surface marred by screws? Our fasteners are the lowest priced hidden fasteners on the market. They are designed to be installed completely from above the deck without any special tools. No biscuit-jointers or sledgehammers are needed. With our concealed fastening system there is no penetration of the sides or upper surfaces of the deckboards. Any penetration of either the top, or the sides, of the decking will be clearly visible from above. Unlike some other so-called hidden deck fasteners or deck clips, Aphano fasteners are virtually invisible. See the difference between Aphano hidden deck fasteners and screws. Aphano concealed fasteners are made out of U.V. resistant polypropylene. They have excellent strength, hold-down power and durability. Aphano hidden fasteners allow composite decking to expand and contract with temperature changes. No special tools are required for installation. And, they are the only invisible deck fastener made specifically for composite decking. It is not just about looks either. Water is major cause of decay for many building materials. Decking is no exception. Penetrations of either the top or sides of the deck boards will allow water to seep in. Water can follow the threads of screws down deep into the boards. Any holes in the sides of the decking, caused by prongs, screws or biscuit jointers will also allow water to enter the deck material. Water expands when it freezes. The expansion of freezing water is strong enough to split rocks and even concrete. Imagine what it can do to deck boards. The new laminate decking material (also known as cap-stock) is especially vulnerable to water damage. Laminate decking has a thin top layer that is bonded to the decking itself. Freezing water can cause this top layer to delaminate. To prevent water damage there should not be penetrations of any kind in either the top or sides of the boards. Our fasteners also allow the decking to expand and contract with temperature changes. They work with both grooved and non-grooved decking. They also come with a 100% money-back guarantee and free shipping. Buy exactly what you need with no waste. And, you can return any un-used items for a full refund. With Aphano invisible deck fasteners you get a clean looking deck surface with less effort and cost. Composite decking is a combination of plastic and wood. It never needs painting or staining. It is essentially waterproof and maintenance free. And, since most are made from recycled products, composite decking is actually good for the environment. It can pay for itself in just 4 years and can recover 90% of the cost at the time of re-sale. As a result, the market-share for composite decking is growing rapidly. 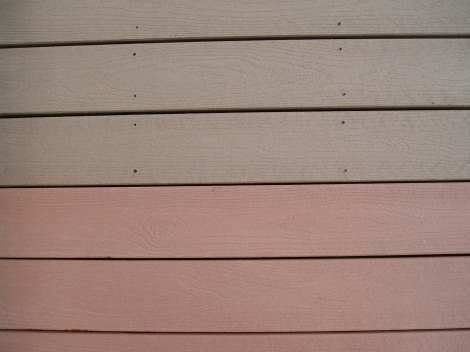 Unlike composites, plastic decking does not contain any wood. As a result it is more resistant to staining and fading. It too is essentially waterproof and maintenance free. Plastic decking is usually made with 100% recycled material. As a result it can be very good for the environment. PVC decking does not contain a wood component either. It too is resistant to staining and fading. However, because most are made from new rather than recycled materials, PVC decking may not be as environmentally friendly as the composites or plastic decking. 1. Composite, plastic and PVC decking will never cup or warp - it always lays flat on the joists. This picture is not "The Arch" in St. Louis, Missouri. It is a piece of composite decking. It demonstrates the flexibility of synthetic decking. Unlike wood, decking that contains plastic is extremely flexible. The Aphano blind deck fastener is the only fastener engineered for this type of decking. Review all of the hidden deck fasteners on the market and you will find none that compare with the Aphano hidden deck fastening system. 2. Both composite and plastic decking expand and contract "across the grain" with changes in temperature much more than wood does. When composite, PVC or plastic decking is installed with screws, the continual expansion and contraction of the deckboards can cause the screws to work their way up above the deck surface. This creates a hazard for anyone walking on the deck, especially with bare feet. The screws must then be driven back down into the decking. Eventually, they will not hold any longer in the softwood that is used to build the deck sub-structure. This movement of the boards can also cause the boards to split or crack at the ends. Screws allow water to penetrate the surface. Water expands when it freezes. This expansion can crack even composite, plastic or PVC decking. And, if you install your decking with screws, whenever you look down at your deck you will always see....screws. Invisible fasteners are a better choice. But most invisible fasteners do not allow for the expansion and contraction of composite and plastic decking. Some of them have a tendancy to loosen up over time. The deckboards can actually pull away from the fasteners themselves. Most concealed fasteners are quite expensive and difficult to install. And, most blind fasteners are still easily visible, not really hidden at all. The Aphano concealed deck fastening system securely holds down each individual deck board yet still allows composite and plastic material to expand and contract without stress. And they provide the hold-down power needed for composite, plastic and PVC decking. No other concealed deck fastener has these features. Aphano hidden deck fasteners are made especially for composite, plastic and PVC decking. They are constructed of U.V. resistant, engineered polypropylene. Aphano invisible fasteners are 100% ACQ compatible.